The ESPR working groups have addressed intravenous urography (IVU), uro-CT and MR-urography (MRU) in childhood as the last in the series of recommendations for paediatric uroradiology. The aim of this process was again to standardise paediatric uroradiologic imaging and to reduce invasiveness and radiation dose. As for the existing recommendations, the new proposals are consensus-based because evidence is lacking, use and indications have changed, or approaches on how to perform the examination in children differ in the literature (MRU). As in the previous recommendations, a thorough review of the literature and existing guidelines and recommendations has been performed. The proposals were discussed within the group and with non-member experts and colleagues from other partner disciplines. These recommendations aim to serve as a quality measure in order to standardise the procedures and thus grant comparable good quality results throughout different institutions. 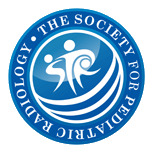 The consistent work of the ESPR Paediatric Uroradiology taskforce and ESUR Paediatric Uroradiology working group resulted in several published imaging and procedural recommendations over the last few years. These statements addressed important topics including imaging in prenatally diagnosed moderate and high-grade hydronephrosis (HN), imaging in childhood urolithiasis and haematuria, imaging in childhood obstructive uropathy, imaging in childhood urinary tract infection (UTI) and procedural recommendations for urosonography and voiding cystourethrography (VCUG). Additionally, a statement has been issued on childhood aspects in nephrogenic systemic fibrosis (NSF) and a standardised adapted HN grading scheme has been presented. All these recommendations have since gained increasing acceptance throughout Europe and are also valued and applied in other continents. To complete the existing procedural recommendations for common and important paediatric uroradiology procedures, the group has now addressed intravenous urography (IVU), uro-CT and MR-urography (MRU) in childhood and developed respective proposals. The aim of this process was again to standardise paediatric uroradiologic imaging, potentially reducing invasiveness and radiation, without taking risks and thereby missing conditions with potentially serious impact on individual morbidity. As for the existing recommendations, the new proposals are consensus-based because evidence is lacking (particularly on paediatric uro-CT), or use and indications have changed (IVU in childhood), or approaches on how to perform the examination in children differ in literature (MRU). As in the previous recommendations, a thorough review of the literature and existing guidelines and recommendations has been performed. The proposals were discussed within the group and with non-member experts and colleagues from other partner disciplines such as paediatricians, paediatric nephrologists, surgeons and urologists. Based on all the information obtained and the ensuing discussion within the group, the following three recommendations were drafted. We hope that they lead to standardised paediatric imaging applicable at least throughout Europe. This is a prerequisite to facilitate or allow comparable research results from different centres for meta-analysis and hopefully will reveal more evidence-based data for common paediatric uroradiological queries. At the minisymposium session on “paediatric uroradiologic imaging and procedural recommendations, part III” at the annual ESPR meeting in Istanbul, Turkey in June 2009, these new proposals were presented and discussed, enabling a public opinion-making process. The results hereof and the feedback obtained at the guideline session of the annual ESUR meeting in Athens in September 2009, were included in the formulation of the final procedural recommendations. In the following the final version of these recommendations is presented and concerns addressed that may still exist, reflecting unresolved issues from the discussions and future tasks in both standardisation as well as research. Scintigraphic techniques are not addressed, as they are well standardised and described by the paediatric nuclear medicine groups and committees. IVU has been one of the mainstays in paediatric uroradiology for decades. Its use and typical findings have been well described and standardised. However, with established and widespread use of renal scintigraphy, the advent of MRU and the advances of US—particularly when applying modern methods and applications such as harmonic imaging, image compounding, high-resolution US or colour Doppler and contrast-enhanced sonography—the use of IVU decreased dramatically with few indications remaining. Thus, the procedural details of IVU need to be adapted accordingly. The proposal includes a few technical aspects, addresses the above issues and insists on avoidance of unnecessary exposures or tomographic views (Fig. 1). Except for a table with age- and weight-adapted volume of contrast material, no technical details are listed, since they are well established and known, i.e. proper filtering, inclusion of the pelvic floor in one film, or contrast-induced nephropathy (CIN) prevention rules. The given scheme was generally accepted, with some discussion on indications in pre-operative imaging, urolithiasis or trauma and to what extent the area of exposure might be restricted, e.g., in unilateral kidney or disease involvement. It was concluded that, apart from standard recommendations, individual tailoring of the examination to a given child’s needs and symptoms as well as following individual institutional preferences and availability of equipment may be necessary (Figs. 2 and 3). CT has become the mainstay of uroradiology in adults. Particularly with modern multi-detector spiral CT and multiphase imaging its use increased for many applications beyond trauma, to infection, complicated cysts, masses and even routine investigation. The introduction of “low-dose” scanning techniques has boosted its use in urolithiasis, claiming that with proper settings the radiation dose be similar or even less than in IVU with a much higher yield of information. Recommendations on standardisation have been published. Increasingly, uro-CT is also used in the investigation of children. However, CT applies a relatively high radiation (particularly with multiphase acquisition) a particular consideration in children as they are more susceptible to radiation. In addition, diseases, tissue composition as well as size relationships differ in children. According to the ALARA principle, a very different value and indication list results for paediatric uro-CT. Children are not small adults! As a rule, one should try to avoid CT in children whenever possible. Particularly if high-end US used by experienced operators and MRU is optimally exploited, most queries that may need CT-urography (CTU) in adults can be answered in children elsewhere, thus avoiding unnecessary radiation. There are, however, childhood conditions that justify or require uro-CT. 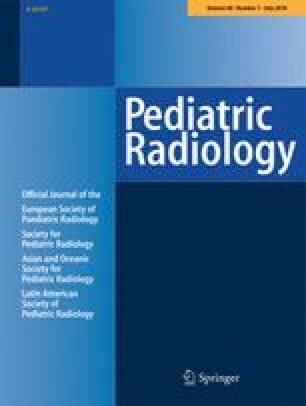 Therefore a proposal for performing uro-CT in children was considered valuable in order to standardise imaging and to grant the lowest possible radiation burden. The recommendation on how to adapt and optimize a necessary CT of the paediatric urinary tract remains general. Because of the numerous different queries, the differences in equipment (e.g., number of detector rows, rotation time, detector sensitivity, tube specification, bore size) and the different clinical needs and approaches no single and universally applicable detailed protocol recommendation can be issued. Furthermore, there are only few hard data on the various applications in children and most of them describe the imaging findings in the various conditions rather than address the specific paediatric imaging technique and its restrictions, benefits and alternatives. Thus the proposal aims at offering some useful advice on the optimization of paediatric uro-CT examinations by adjusting the protocol considering lower age-adapted kVp and mAs settings, avoiding multiphase acquisitions, and choosing appropriate contrast amount and delay timing. The few accepted indications for uro-CT in children are severe urinary tract trauma, complicated/equivocal urolithiasis (if high level US + KUB are not conclusive and if there is expected therapeutic impact), complicated infection (if US does not solve the query and MR is not available), tumour and its differential diagnosis (if MR is not available), and reno-vascular disease (if no interventional option is planned; otherwise, in patients with positive findings on Doppler sonography, consider proceeding directly to diagnostic catheter angiography with intervention in one session) (Fig. 2). MRU is a newer attractive imaging modality that was introduced to paediatric uroradiology more than a decade ago. It is by now an established non-ionising imaging modality for many queries in the child’s urinary tract, and increasingly promoted as the ideal “one-stop shop” imaging for anatomic and functional queries. However, its availability is restricted, and many centres hesitate to apply the method to children, partially due to potential sedation needs, partially because of uncertainty in how to perform the investigation. Furthermore, discussions about NSF have hampered and prevented efforts, and multiple different approaches for imaging and for functional analysis have been reported in the literature, thus leading to confusion and hesitation regarding paediatric MRU. Therefore the group wants to promote the use of MRU in given paediatric queries trying to provide a safe and reliable MR protocol for anatomic imaging that is generally accepted and considered reliable. Since there is insufficient evidence and agreement on functional imaging approaches—in part also due to difference of surgical views regarding timing of the intervention, patient selection and differences in MR devices available—the group decided to address only the anatomic (semi-functional) imaging. A standardisation of functional diuretic MRU for quantitative renal functional evaluation and urinary drainage assessment will only be achievable once new studies and thorough comparison of the different approaches including discussion of their pros and cons in the different settings and age groups will be accomplished, and after extensive interdisciplinary consultations. This proposal tries to include data from basic evaluation requirements such as preceding US information and, possibly, VCUG results. It addresses patient preparation and practical tips (e.g., when to catheterise, how to place the urine bag, sedation and immobilisation needs, hydration and diuretic stimulation) as well as NSF precautions. The typical MRU protocol based on the non-enhanced, heavily T2-weighted “water-MRU” sequences is detailed, including suggestions in how to plan and orient the acquisition, before finally contrast-enhanced serial T1-weighted gradient-echo sequences as well as other standard T1-W imaging before and after gadolinium administration are acquired to complete the investigation—these will allow for visual assessment of contrast uptake and elimination, renal function and contrast excretion as well as drainage from the collecting system (Fig. 3). This proposal completes the procedural recommendations in paediatric uroradiology. They aim to serve as a quality measure in order to standardise the procedures and thus grant comparable good quality results throughout different institutions. It is also hoped that they will, in the future, allow the creation of more evidence for deciding on impact and necessity of the various imaging options in the various childhood conditions of the kidneys and urinary tract. Of course, with new knowledge, evidence and insight and new advances in imaging techniques and potential, recommendations and guidelines will have to be adapted, just as procedural techniques might need adaptation.